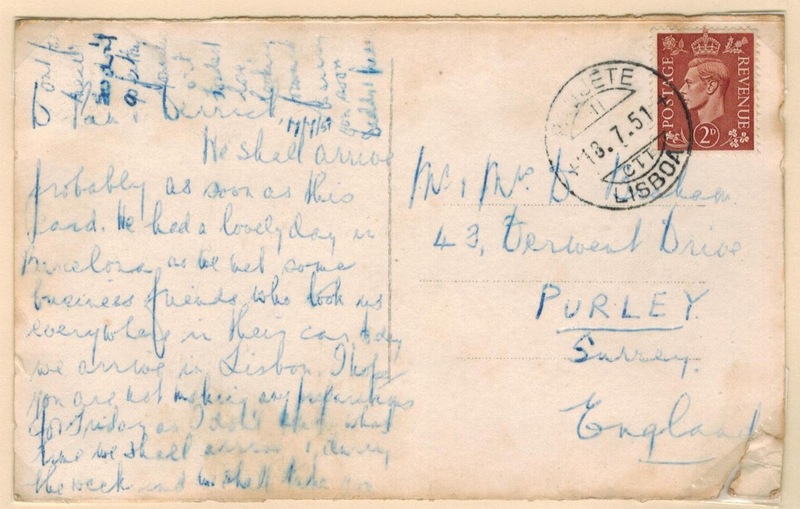 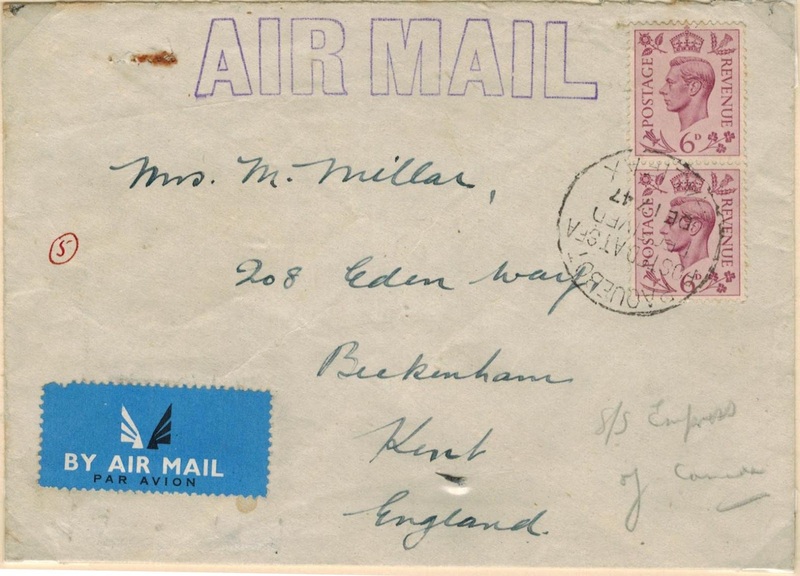 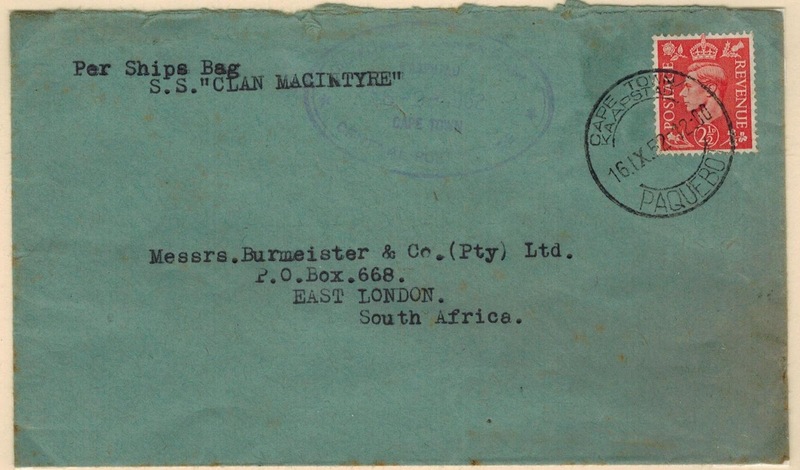 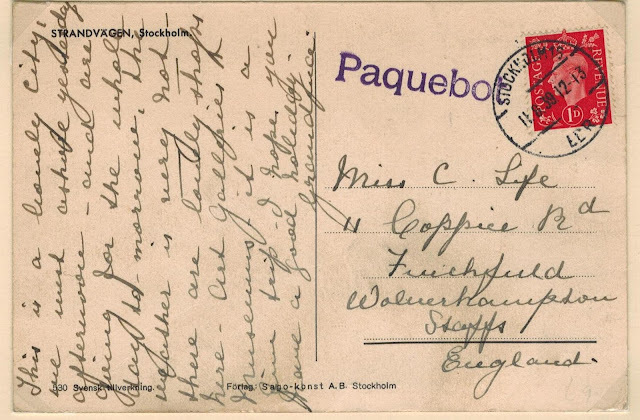 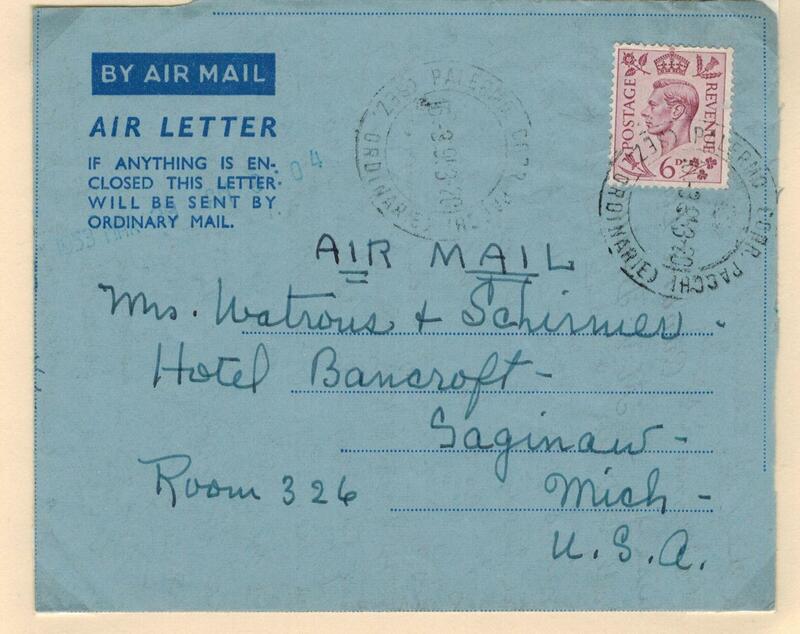 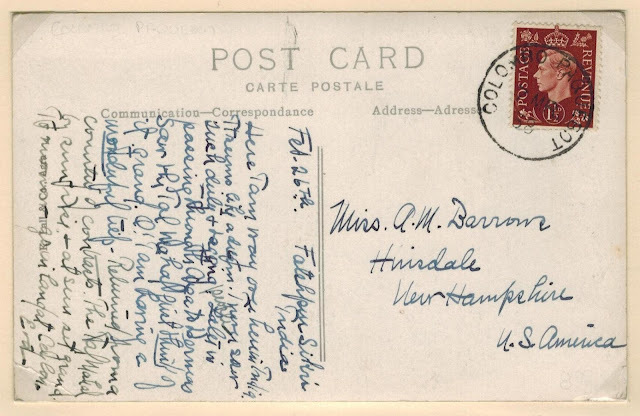 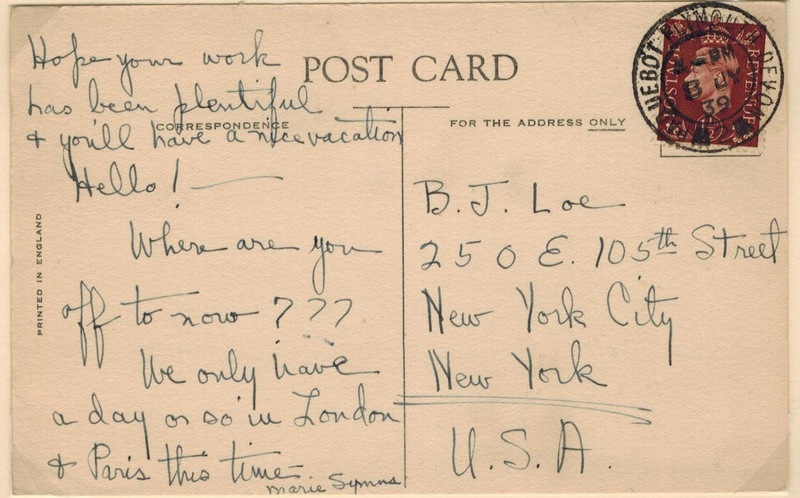 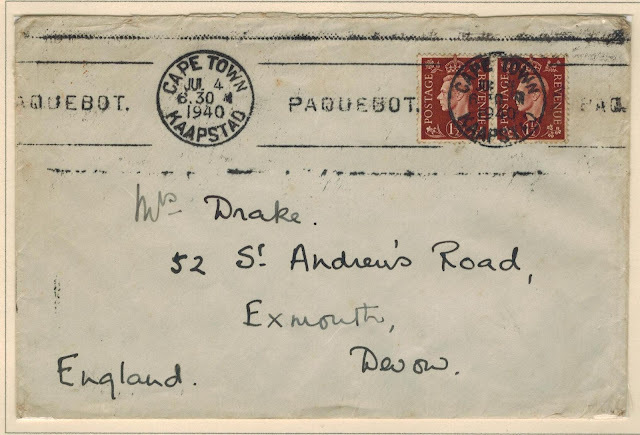 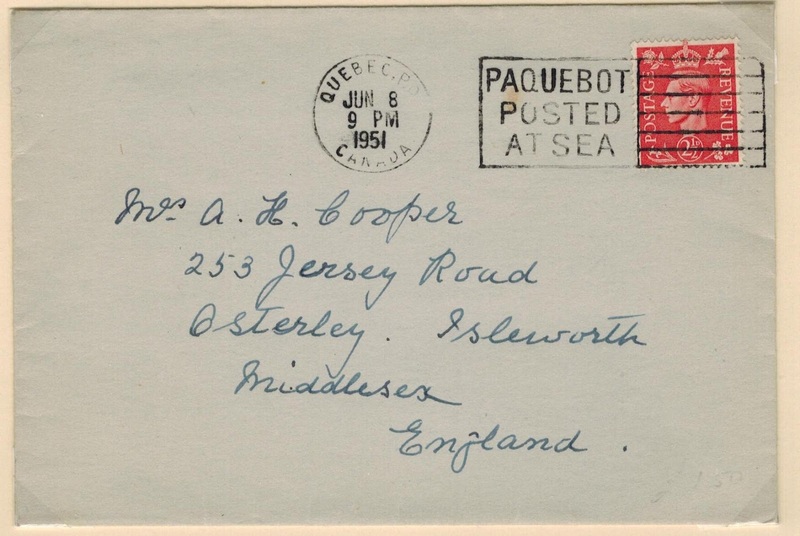 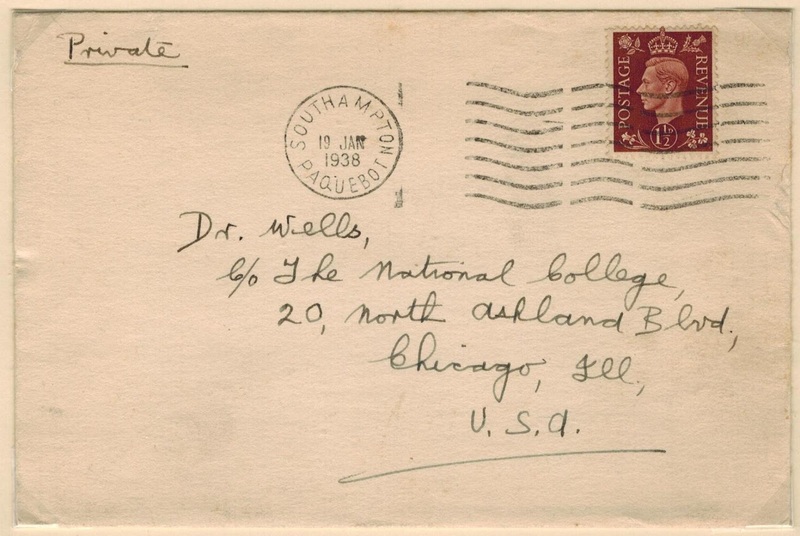 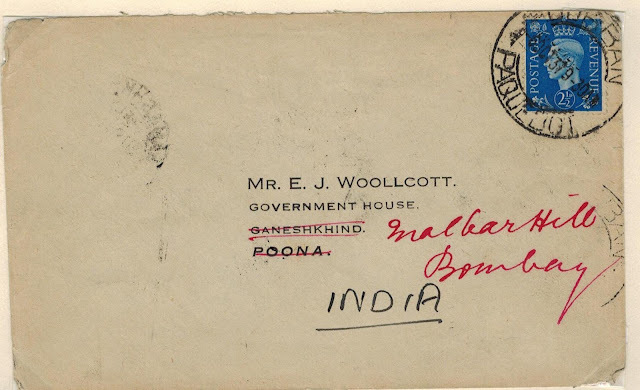 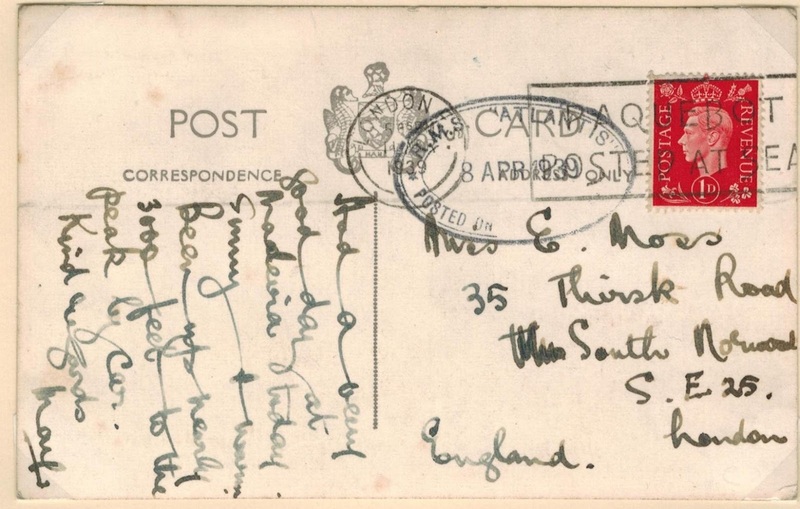 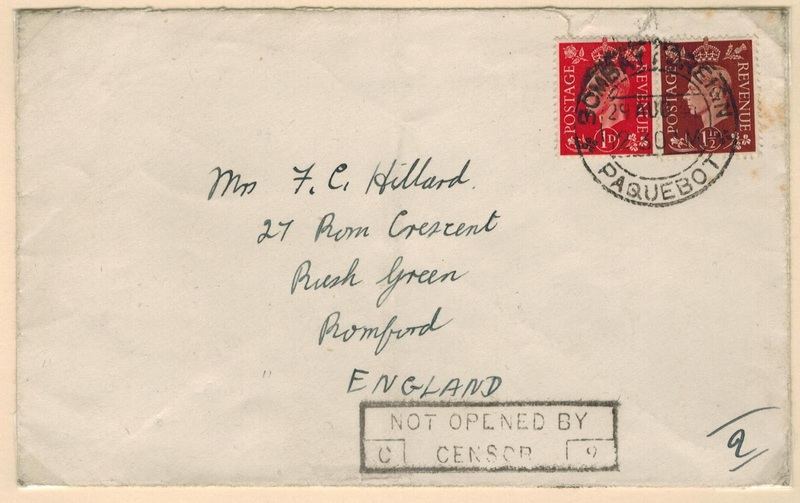 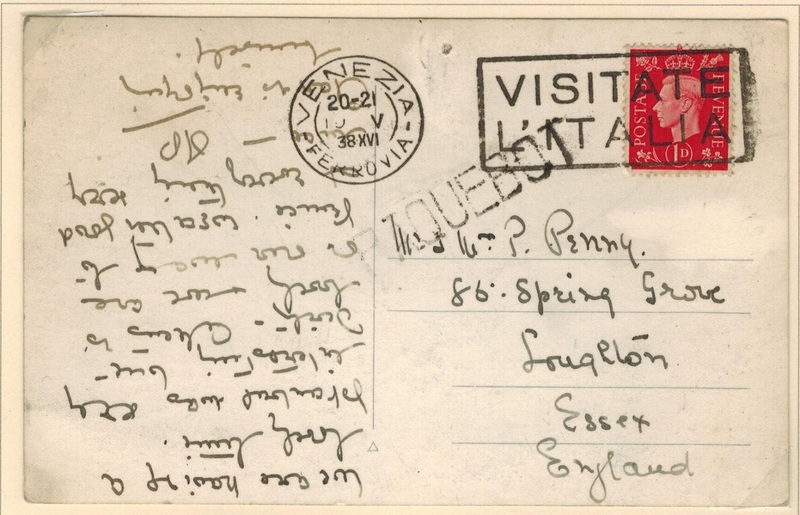 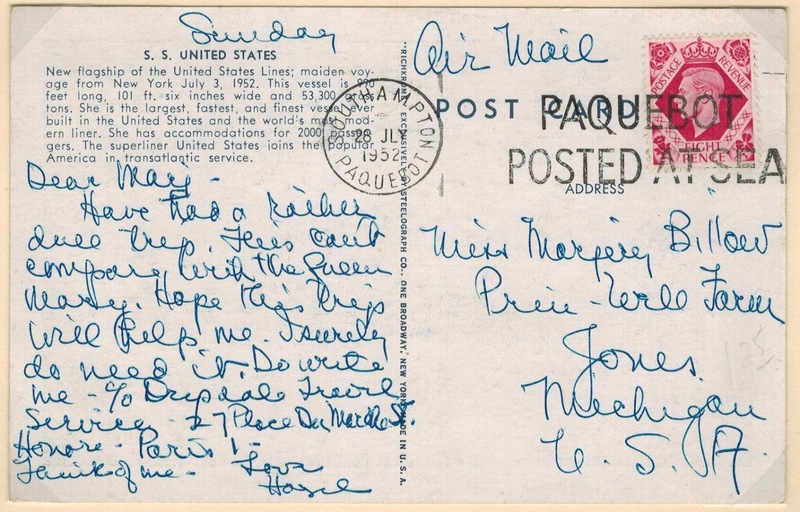 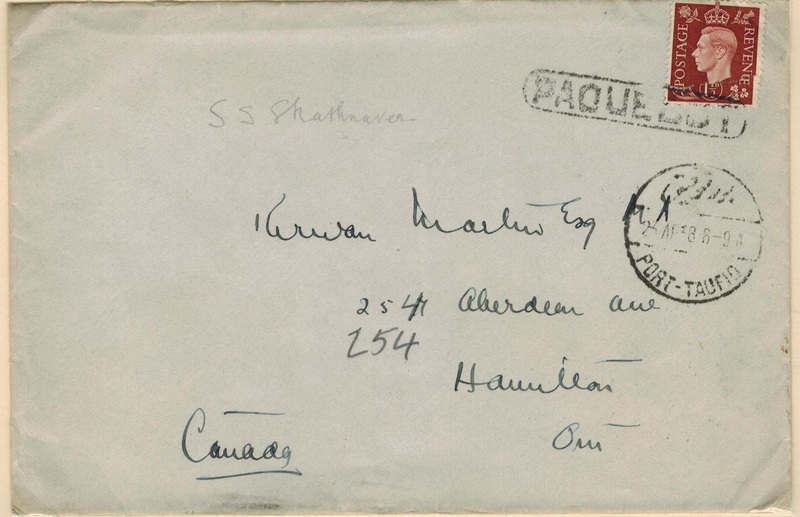 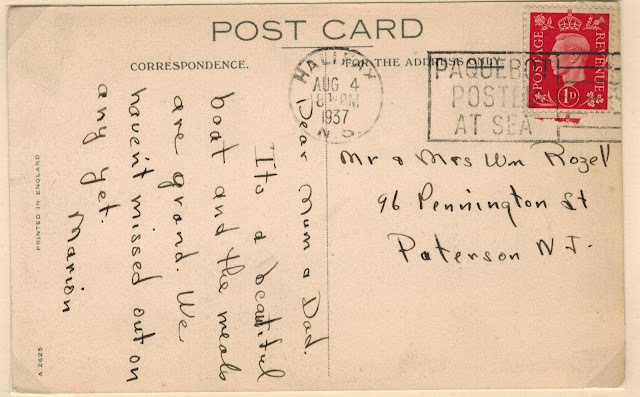 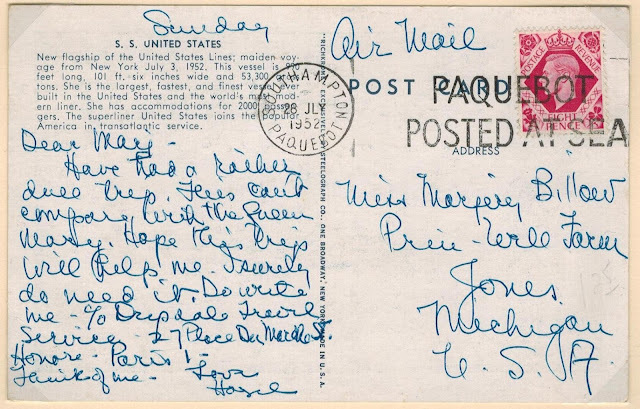 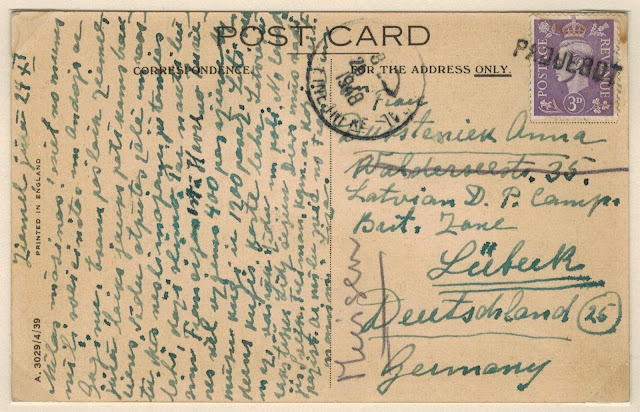 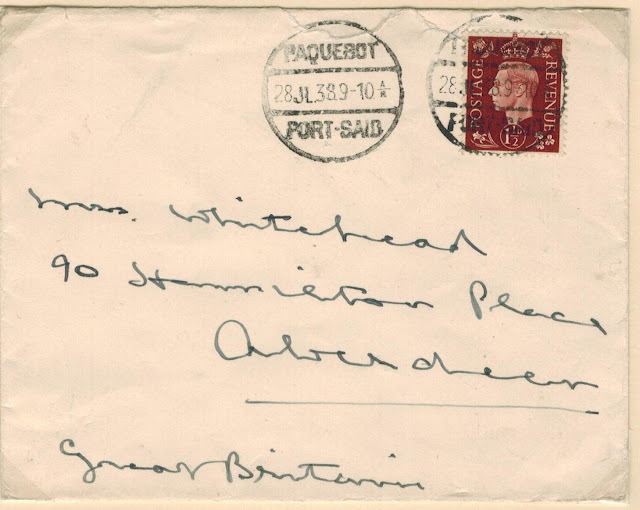 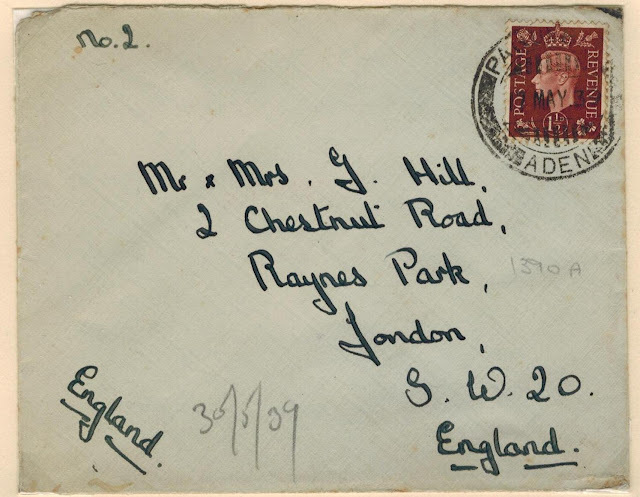 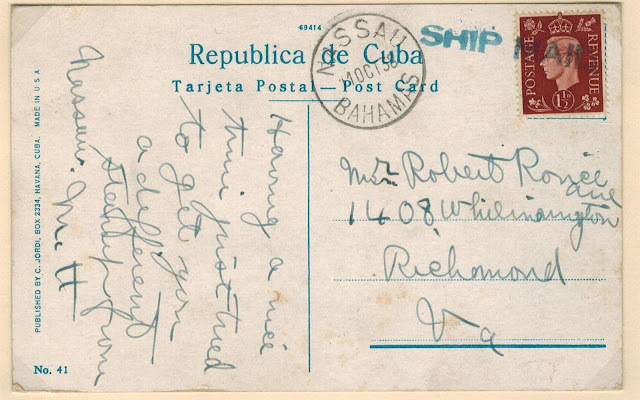 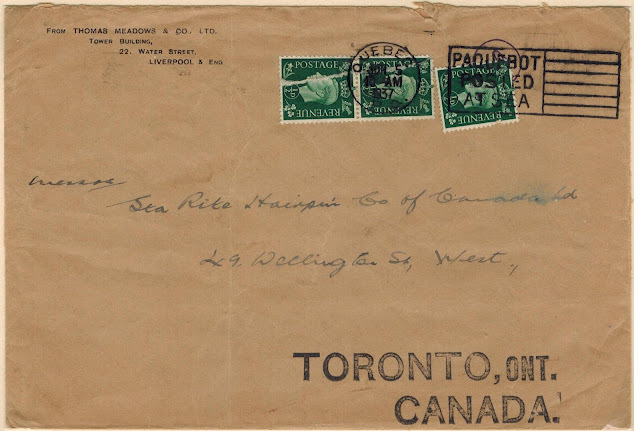 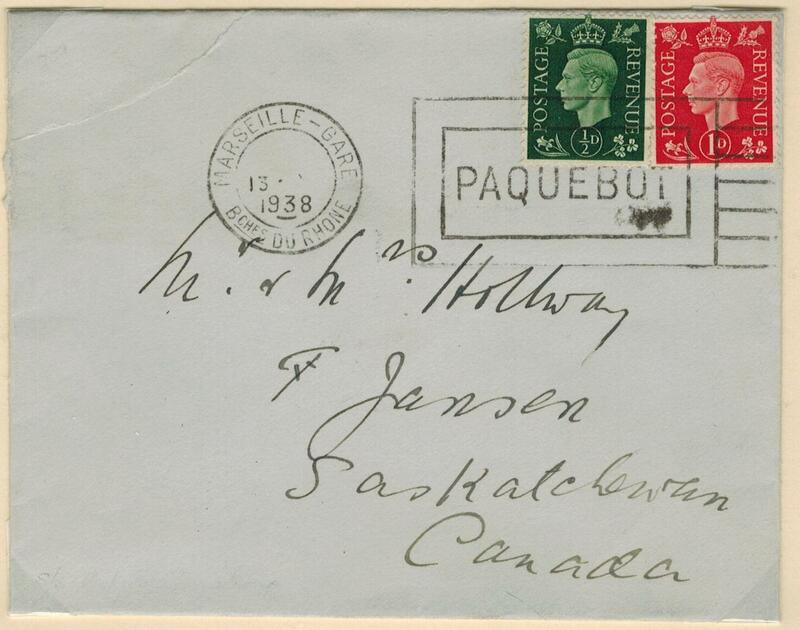 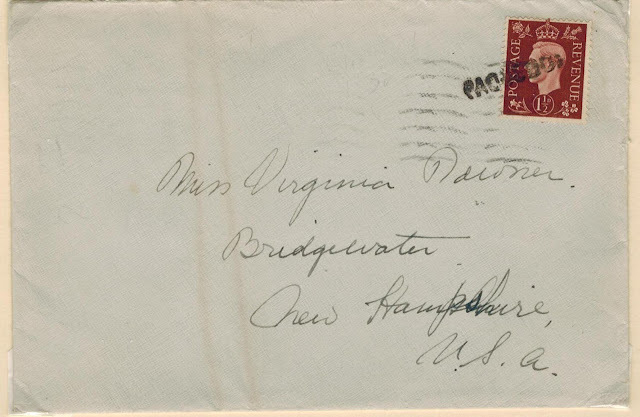 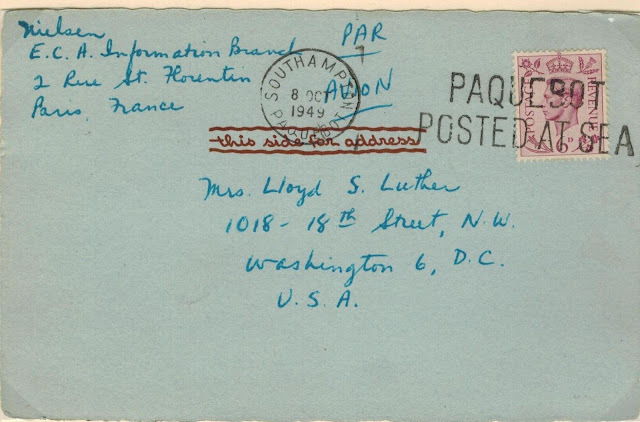 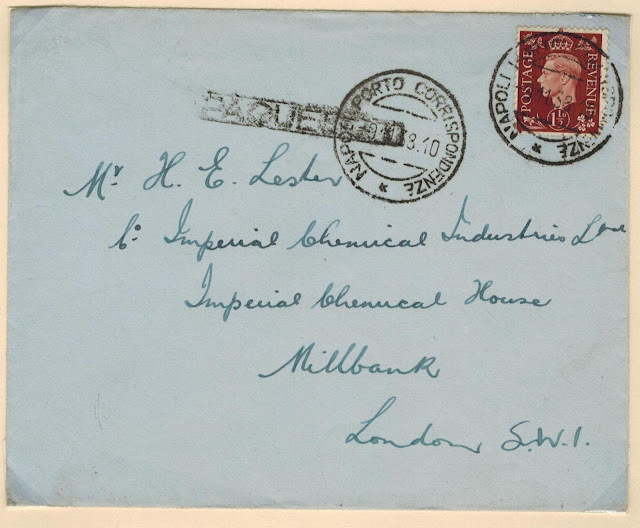 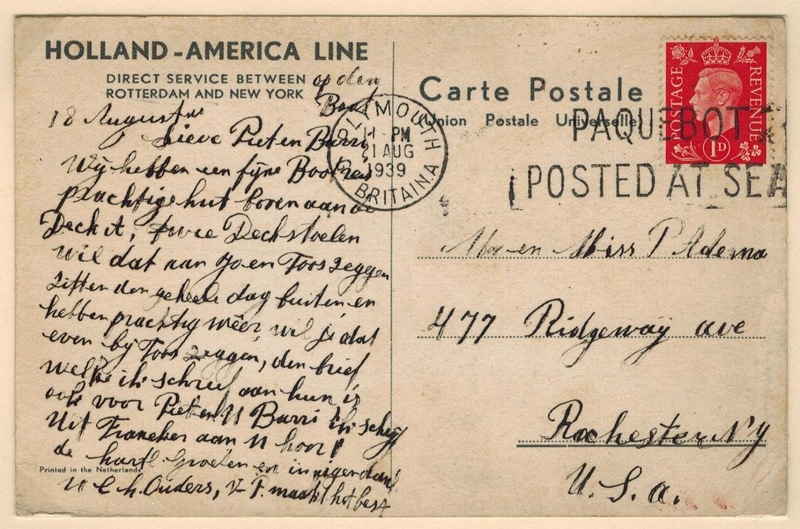 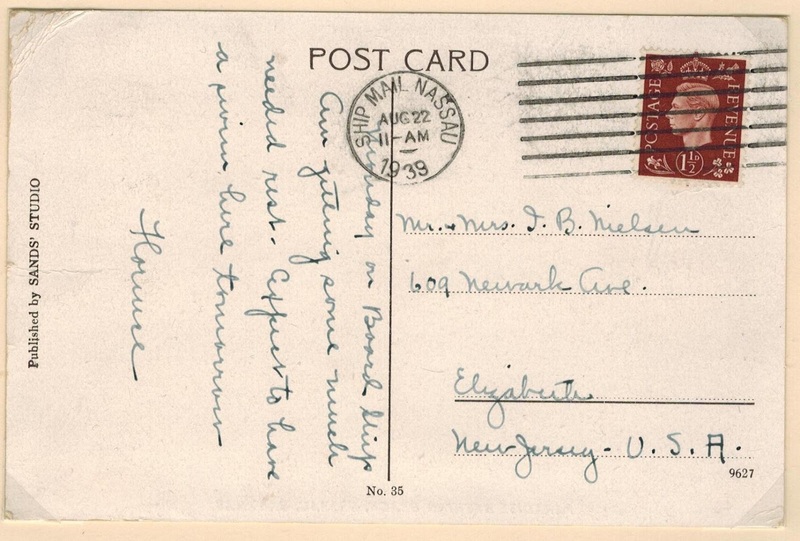 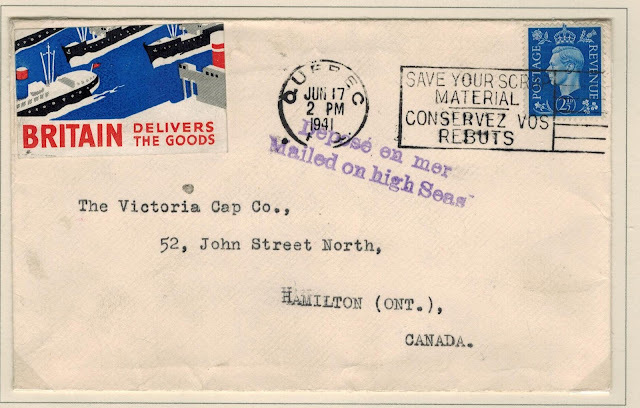 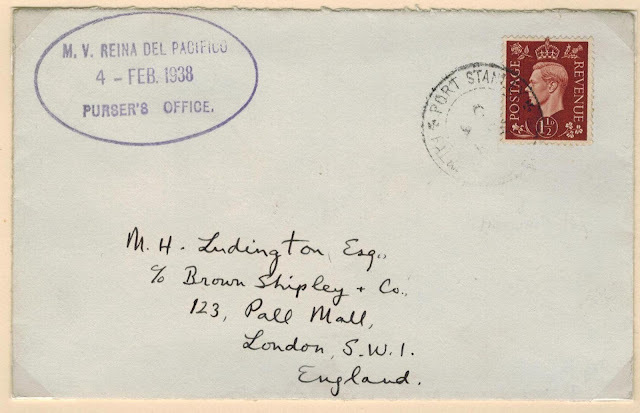 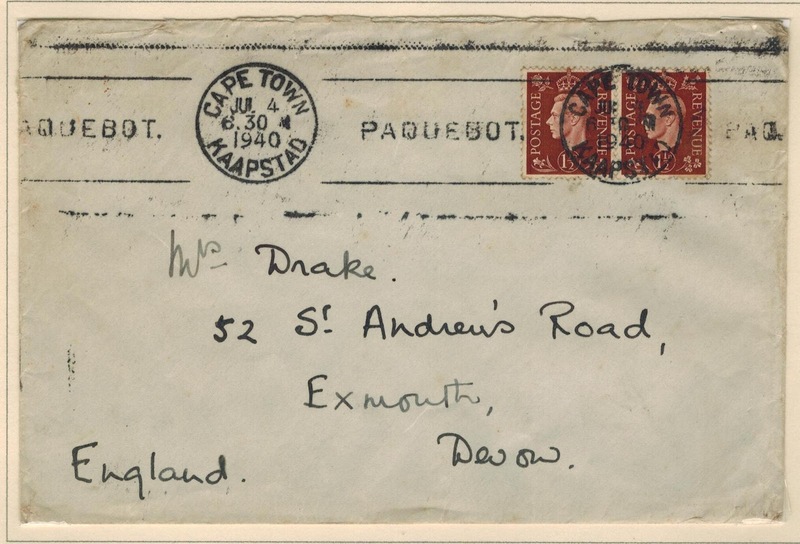 Correspondence mailed on the high seas, in the box on board a vessel, or handed to postal agents on board or to the commanders of vessels, may be prepaid, barring contrary agreement between the Administrations concerned, by means of the postage stamps and according to the postage rates of the country to which the said vessel belongs or by which it is maintained. 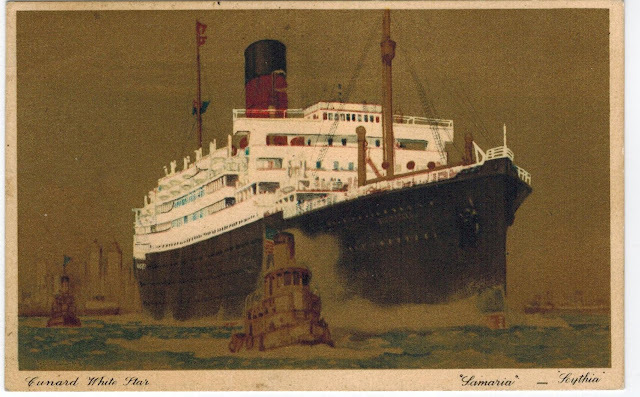 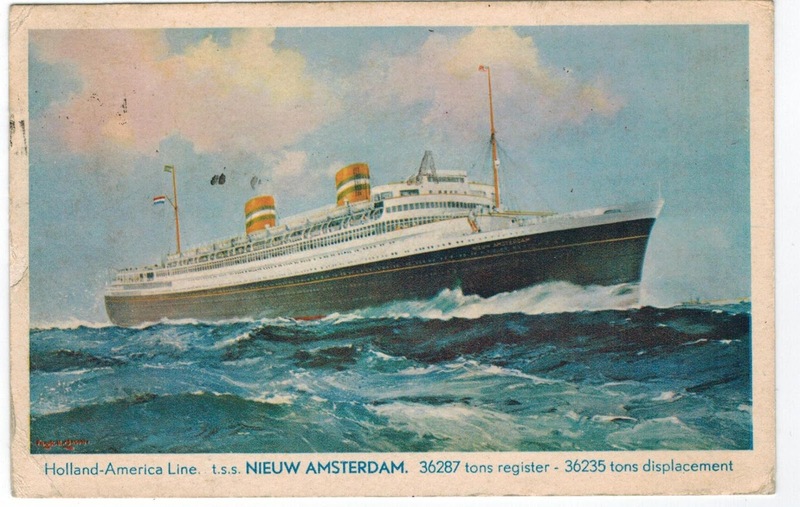 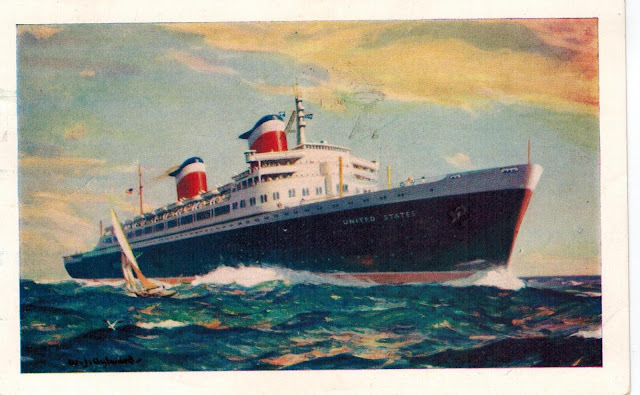 If the mailing on board takes place during the stay at one of the two terminal points of the voyage or at one of the ports of call, the prepayment is valid only if it is effected by means of the postage stamps and according to the postage rates of the country in whose waters the vessel happens to be. 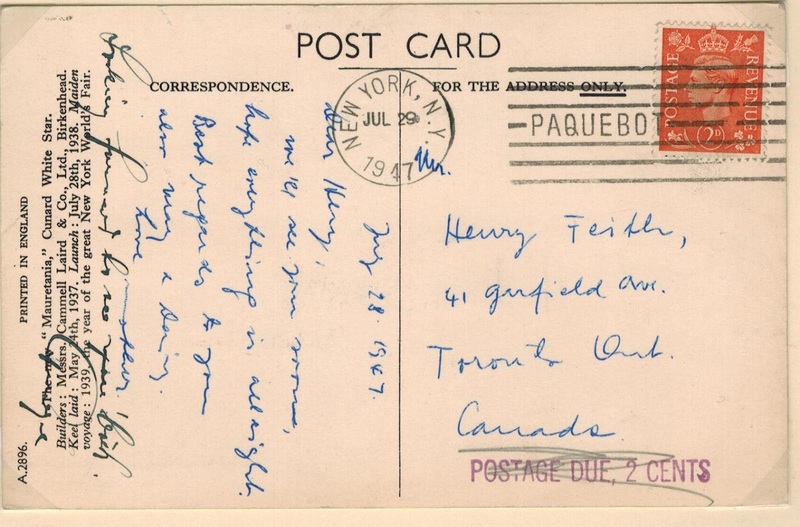 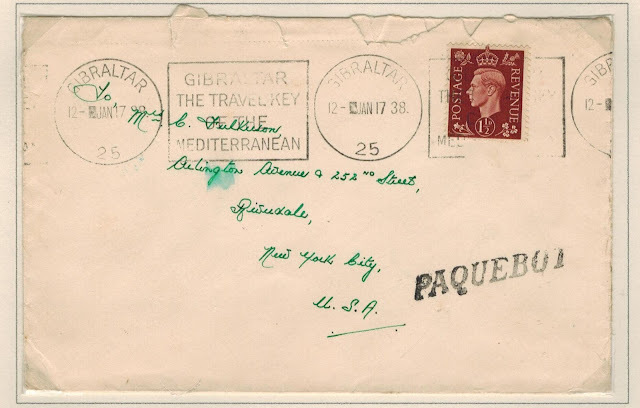 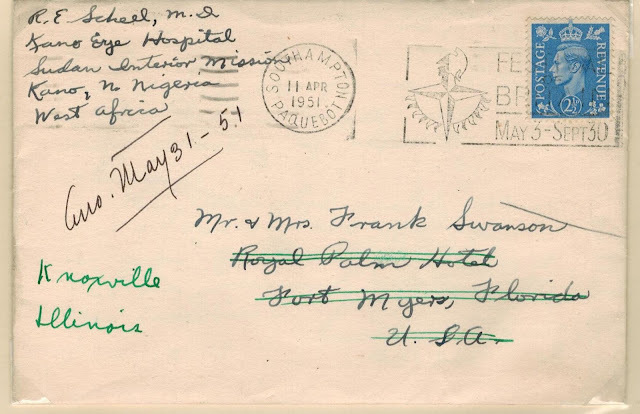 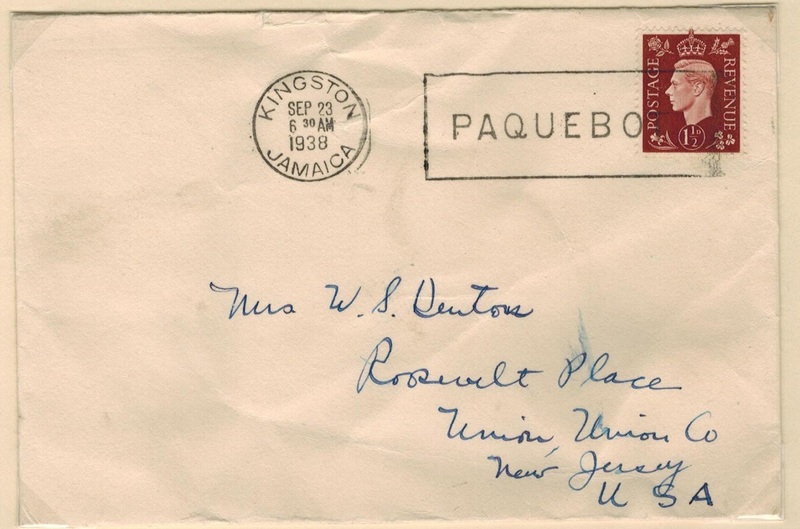 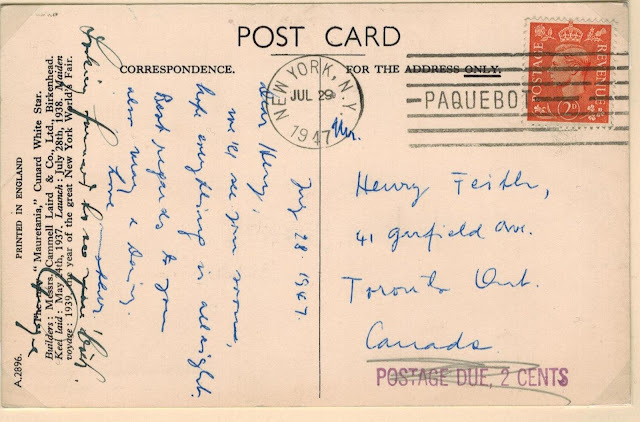 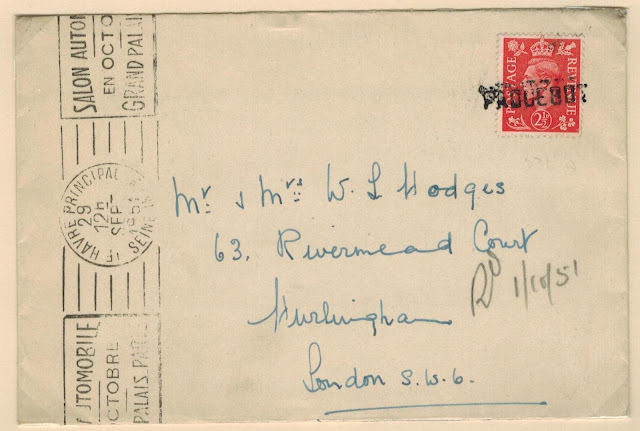 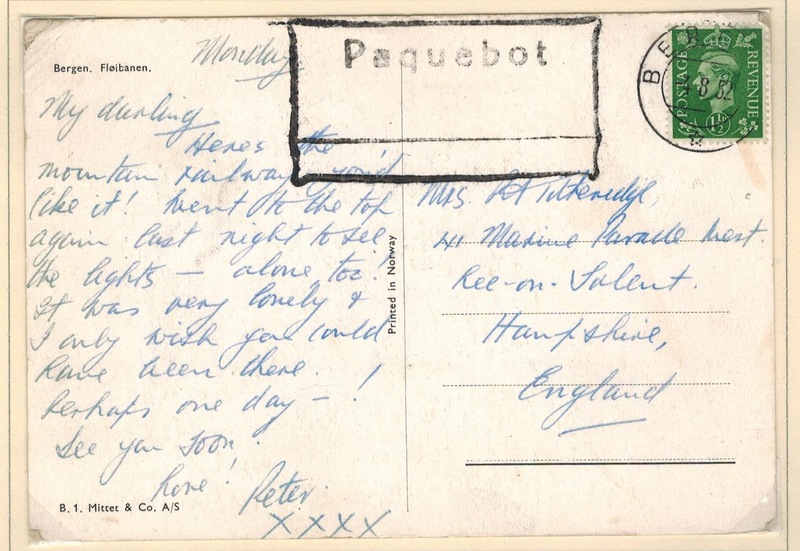 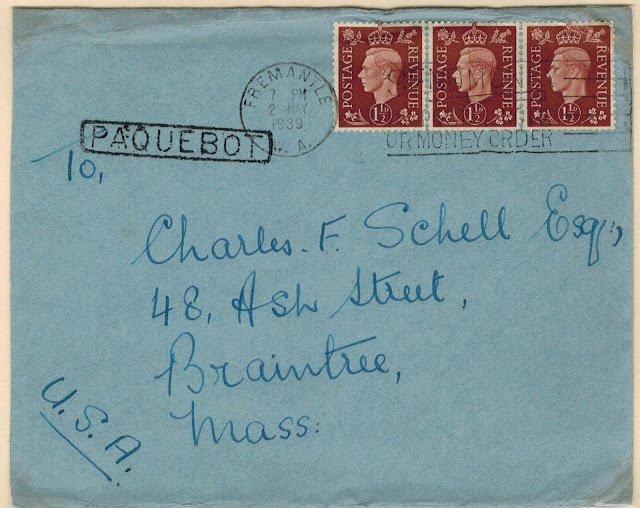 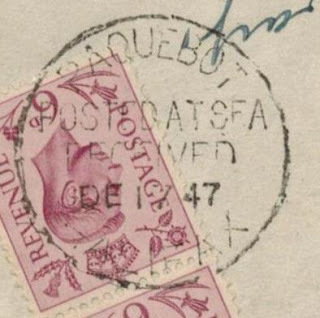 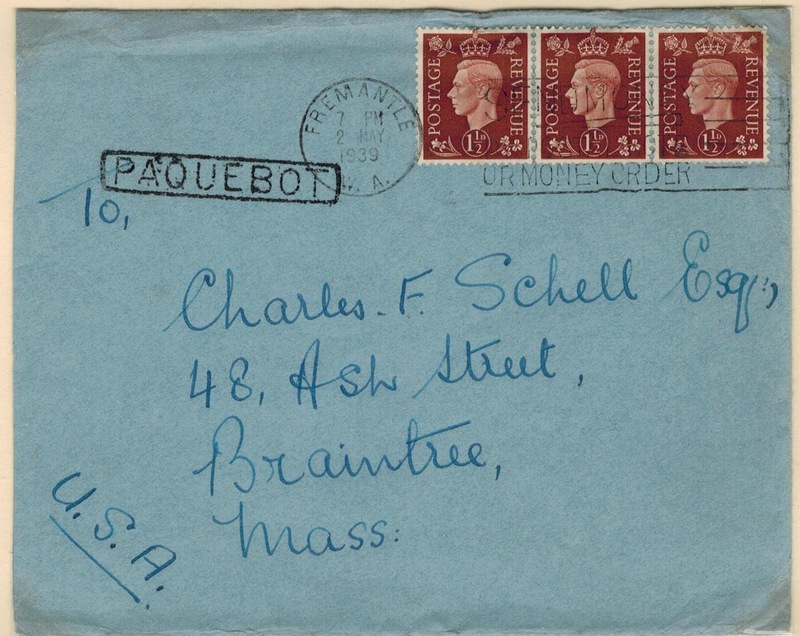 This post show covers franked with the George VI definitives from several ports of call, many of which feature "PAQUEBOT" markings. 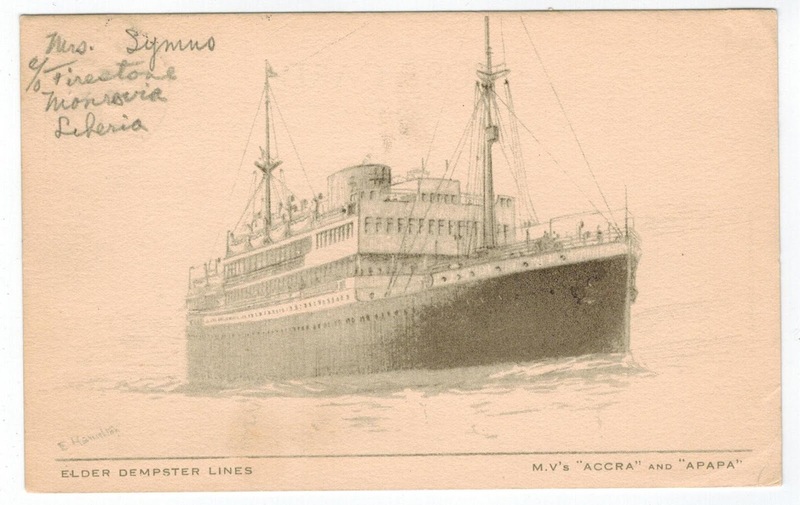 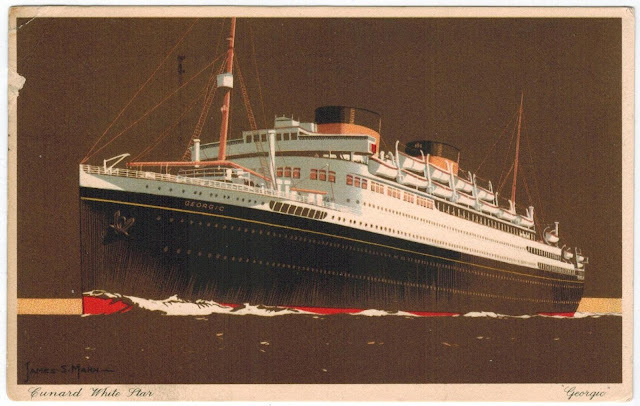 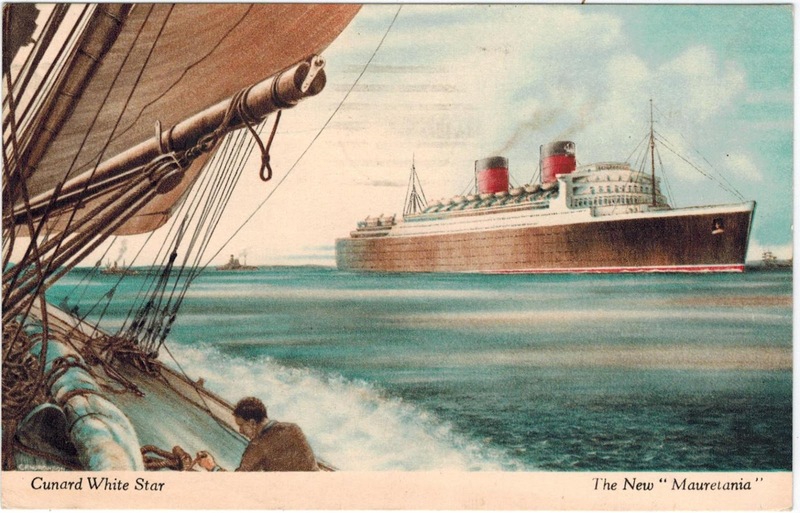 Cunard White Star "Samaria" - "Scythia"
Elder Dempster Line - M.V.s "Accra" and "Apada"
Cunard White Star : The New "Mauritania"